Record your important business information in this professionally designed, Daily Business Diary. Dated planning pages range 12 months from January to December. One-page-per-day format includes the date and month at the top, holidays and count of days/days remaining. 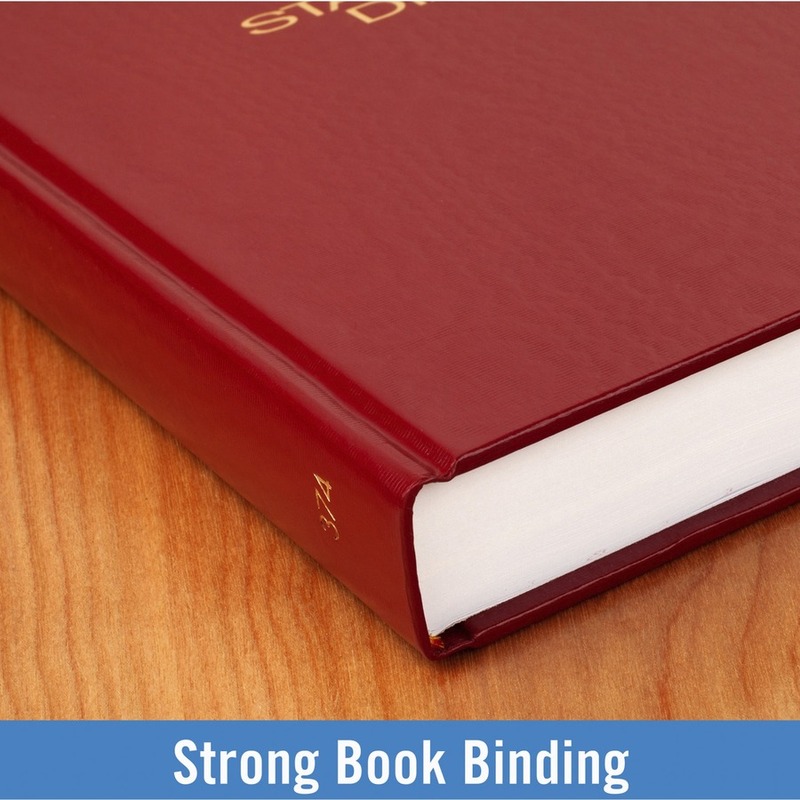 Faint-ruled white pages are printed in red and black ink and bound with a Moire vinyl hard cover. 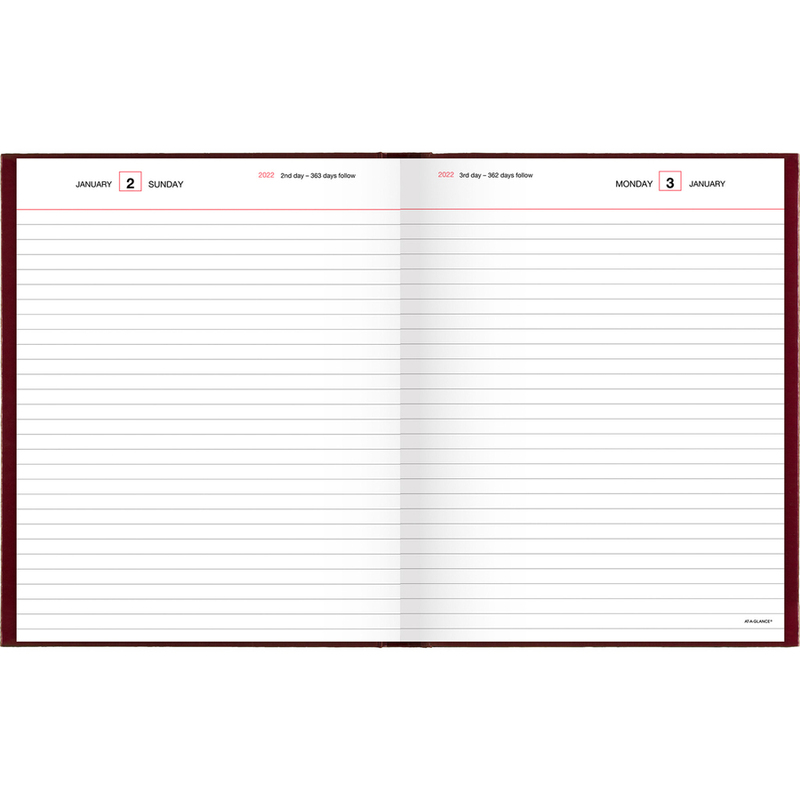 Nonrefillable business diary also features a telephone/address section and monthly expense summary.